Find yourself wishing that the teachers’ desk could move in the middle of the lesson? 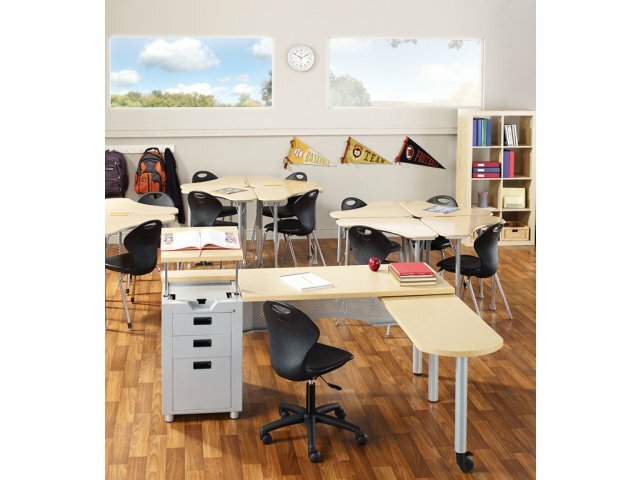 Tired of standing in various locations around the classroom with no support? The Nate Teachers’ Desk has arrived with the innovation and flexibility required for your 21st century classroom. 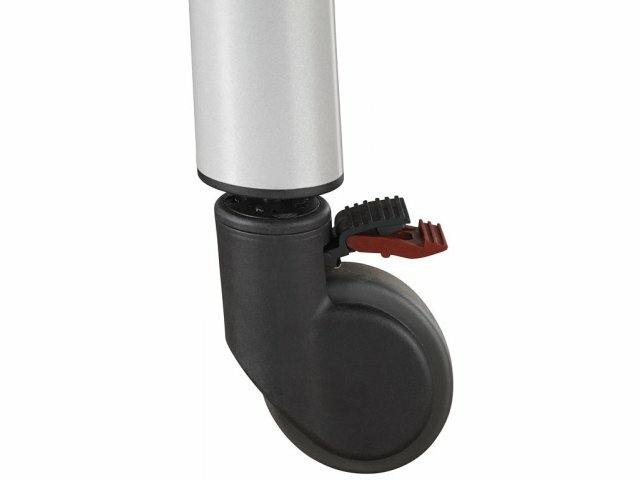 A mobile pedestal with an adjustable-height podium lets you deliver information comfortably from absolutely anywhere. Need somewhere to put the projector? No problem. 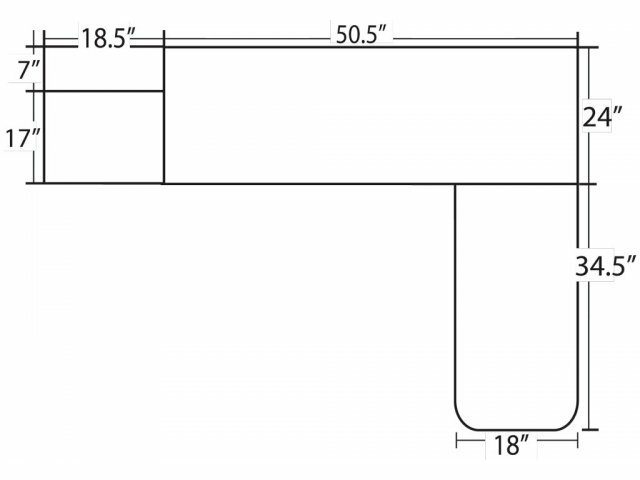 Simply roll the pedestal into position and adjust the height of the podium platform. Looking for a convenient place to work with students one-on-one? 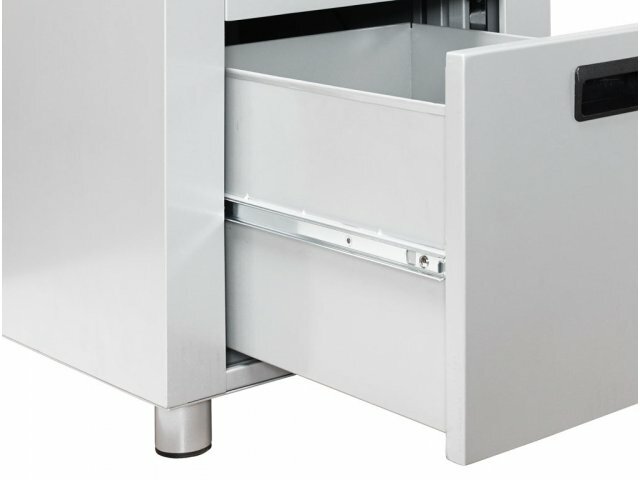 A rotating return almost doubles the already-spacious workspace, swinging in and out with ease on inset casters. Say goodbye to the days of sitting at a classic teacher desk and speaking from one spot. 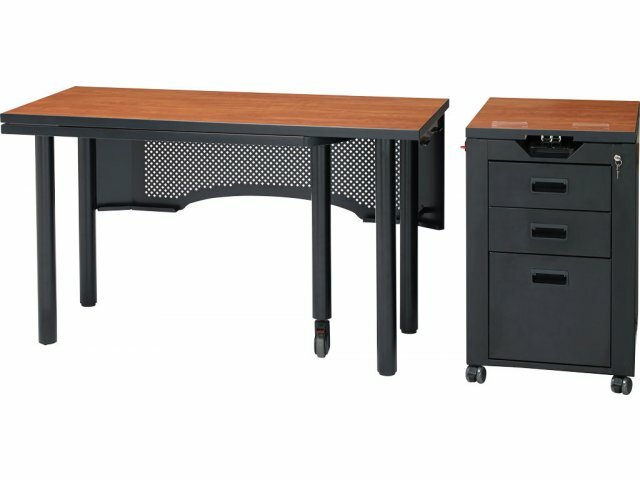 The Nate Teachers Desk is here to take your lessons to the next level - and beyond. 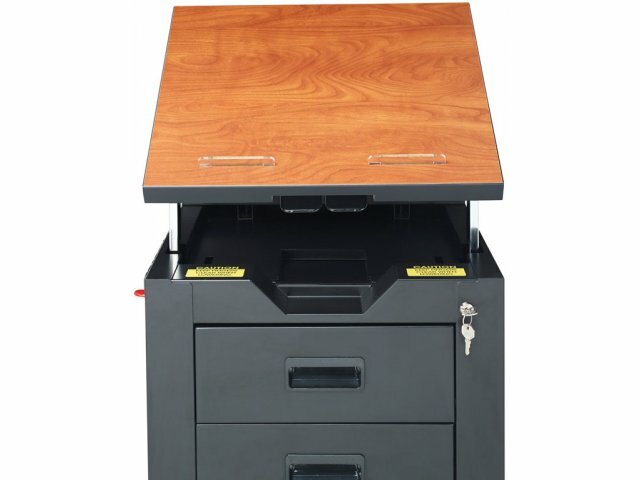 Extremely Flexible: Pedestal can be clipped off and rolled away on casters to wherever it is needed and then simply clipped back to the desk again. Versatile Fit: Both the angle and the height of the built-in podium can be adjusted for any person in any type of lesson. 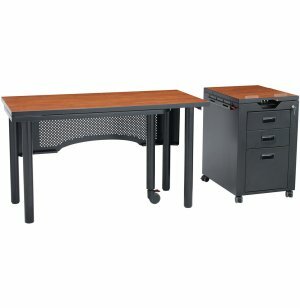 Surface measures 17"W x 18.5"D.
Incredibly Spacious: Rotating return swings out from underneath the desk to significantly increase work space. 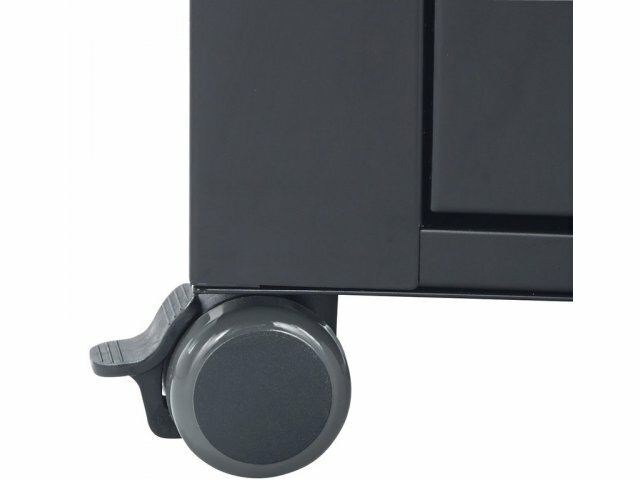 User-Friendly: Special inset casters on base and convenient podium lever make using this desk's features a snap. 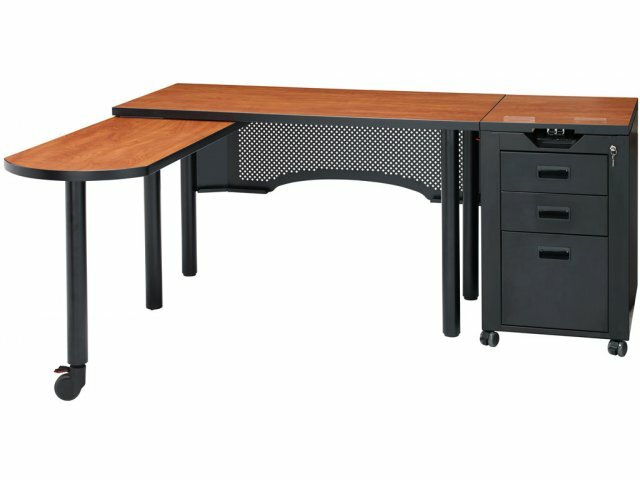 Comfortable: Large workspace and modesty panel add to the desk's comfort factor. 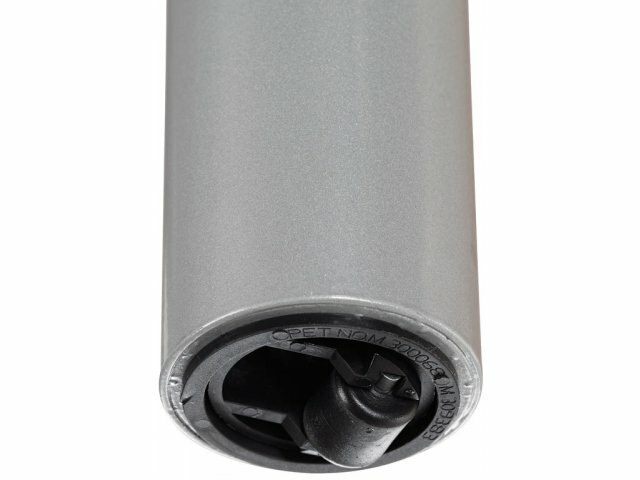 Extra Strong: Threaded steel inserts, 16-gauge legs and heavy-duty casters provide extra strength and superb durability. 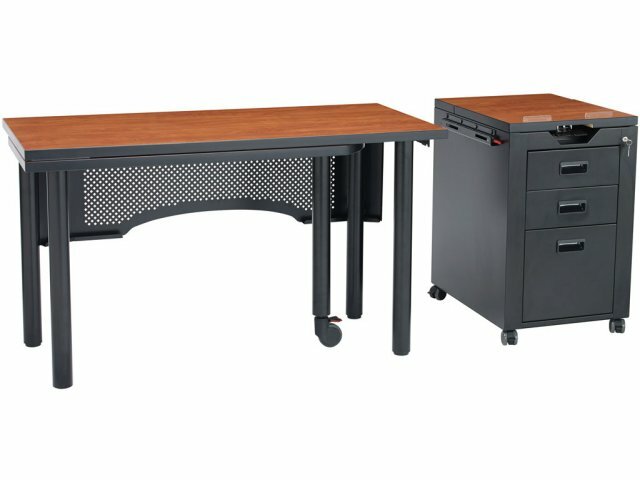 HPL Advantage: High-pressure laminate desktop is far more durable than standard laminate desktops.